Power steering is a system in cars that makes it easier for drivers to steer their wheels by assisting them with the torque. The traditional form of power steering is hydraulic power steering, which consists of hoses, drive belt, fluid, a pulley and a pump. Basically, it works by having the pump attached to the car’s engine and uses hydraulic pressure to multiply the force that the driver puts on the steering wheel. This pressure is generated by the rotary vane pump within the car’s engine. So if the wheel is turned, the hydraulic pressure will increase the force of the turn by adding more hydraulic fluid through the valves and into the cylinder. The hydraulic cylinder then puts pressure on the steering gear and then the wheels get steered as a result. Nowadays, most cars are built with electric power steering which does not require all of these other components used in a hydraulic power steering system. Instead, the electric power steering system has an electric motor placed onto the steering rack along with sensors that can detect the driver’s torque. Each turn of the wheel the driver makes will affect the amount of electricity that gets generated by the engine. In other words, this power only gets generated and used after the driver turns the wheel. That way the car is not consuming too much power from the engine that it doesn’t even need when the driver isn’t turning the wheel. This will save you plenty of money in auto repairs involving the engine in the long run. 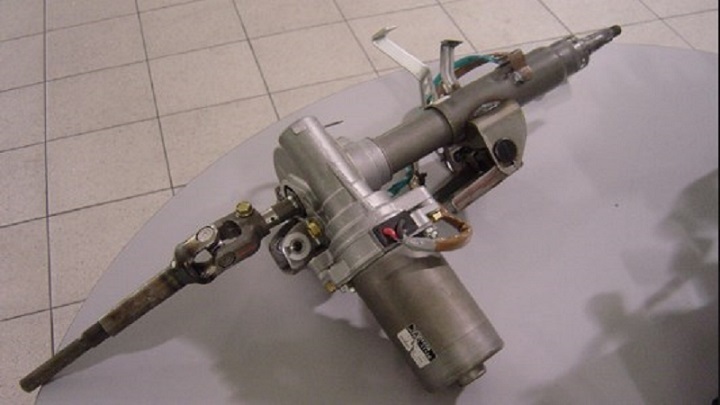 Electric power steering simplifies the whole power steering process and it is why so many auto technicians and manufacturers prefer to use this type of power steering instead of hydraulic power steering. Not only that, electric power steering takes 90% less energy from the car’s engine than hydraulics. This means the life of the engine will last longer and you won’t have to maintenance your vehicle as much. On the other hand, the hydraulic system is so complicated that it requires more maintenance and more power to function. It even adds more weight to the car which reduces its gas mileage and increases its power needs. So clearly, the electric power steering system is the best and most economical steering system you can have in your car. If you are looking to purchase a new car then chances are this system is already integrated into it. But if you are buying a car older than 10 years then you should be prepared for the grueling hydraulic steering system.